Family Dentist and General Dentist are often used interchangeably. Unfortunately, this can lead to confusion when searching for a Dentist. General dentists are licensed to practice in all areas of dentistry, but that does not mean every general dentist treats patients of all ages. A dentist can choose to limit his/her practices to a certain age group. 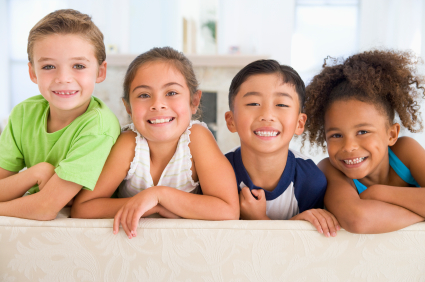 For example, some dental offices only treat children and others only treat adults. Family Dentistry is a not a recognized specialty, but it does show that patients of all ages are welcome. Why choose a Louisville Family Dentist? Your time is precious. Navigating the demands of family life can be exhausting. Each week is filled with planning meals, drop offs, pick ups, play dates and much more. Why add more work coordinating dental appointments at multiple offices? Having your entire family’s appointments in one office and at one time can be a real time saver. In some cases, children or adolescents have complex needs beyond the scope of what can be completed safely in a non-specialist office. In this event, your dentist will refer you to a kind Pediatric Dentist. What should you look for in a family dentist? No matter what kind of healthcare provider you are looking for, you should keep a few factors in mind. Check the Dentist’s bio/about us page and see if it is someone you would like caring for you. Recommendations from friends/family and certified patient reviews are great ways to narrow the search. Another crucial factor is finding a dentist that cares about you and listens to your concerns. This is becoming more and more of problem because dental chains/franchises are trying to turn dentistry into a commodity where patients are just numbers. You deserve better. Finally, look for an office that offers financing or an in-office membership plan. Financing is a nice feature when dental insurance will not cover a procedure or your treatment costs exceed your dental coverage. No insurance? No problem! In-office membership plans are a great alternative to reduce your dental bills. Hurstbourne Dental Care offers the highest quality family and cosmetic dental care at an affordable price. No insurance? No problem! Click to find out more about our in-office membership plan, Quality Dental Plan. Please join our dental family today and call (502) 671-5087!